Grand Funk had two things going for them in 1973: Todd Rundgren and cowbell. Okay, they had a lot more going for them that. Just two years earlier the band sold out Shea Stadium faster than the Beatles did. They had six albums under their belts, too, all of which sold well even if the critics didn’t pay them much attention. 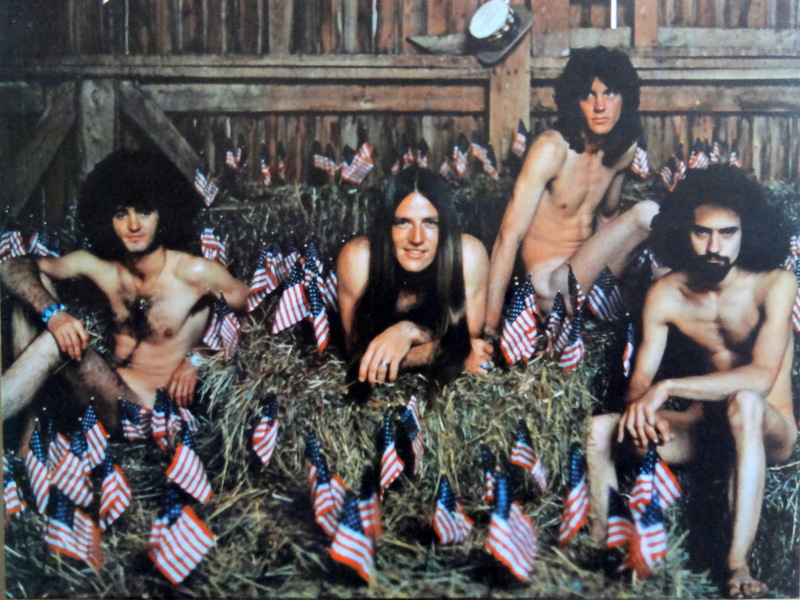 In 1973, Grand Funk was the quintessential American band: popular with the people, scorned by the tastemakers. Legend has it that while on tour with Humble Pie, the the two bands started arguing over British versus American rock. Grand Funk drummer Don Brewer allegedly rattled off a list of rock legends, punctuating it with, “We’re an American band.” The next morning he wrote the song of the same name, giving Grand Funk their first number one single. The Michigan band picked up a couple of key players for their seventh album, also titled We’re An American Band. A power trio since their inception, the addition of Craig Frost added keyboards to the mix, and speaking of mixing they hired producer Todd Rundgren to man the board. 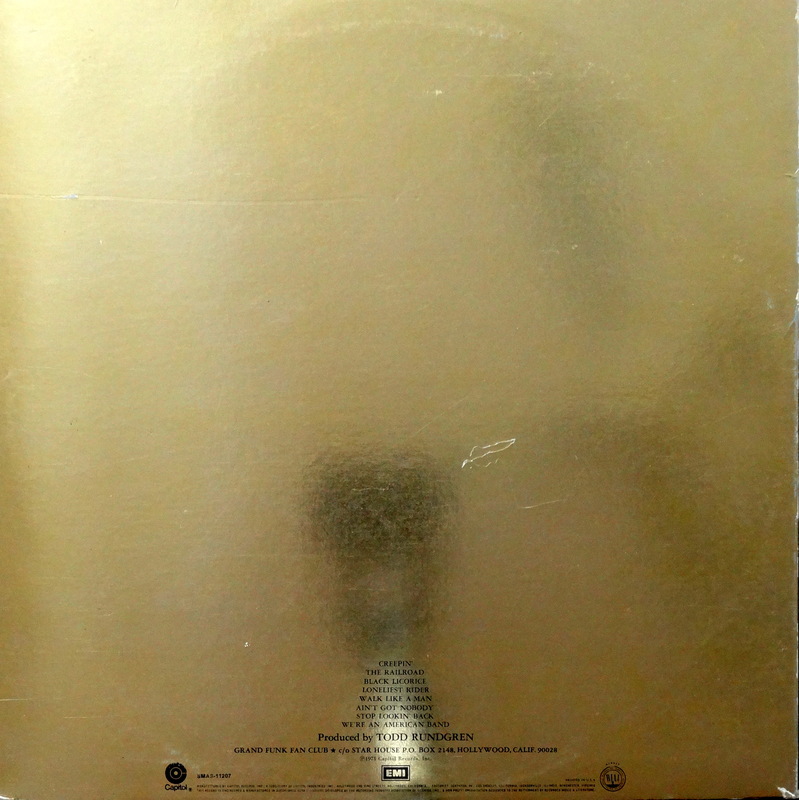 Like the single, the album was a hit, but the band (or the label’s art department, or both) fully expected a gold record. Initial pressings were released on gold (well, really more yellow) vinyl wrapped up in a gold foil cover. The package included four stickers of the pointing finger logo visible on the inside of the album’s gatefold. Unfortunately, my copy doesn’t include the stickers and because we know the first pressing went gold it’s not like this is a particularly rare album. However, it is fairly rare to find an example with the foil cover in such good shape. 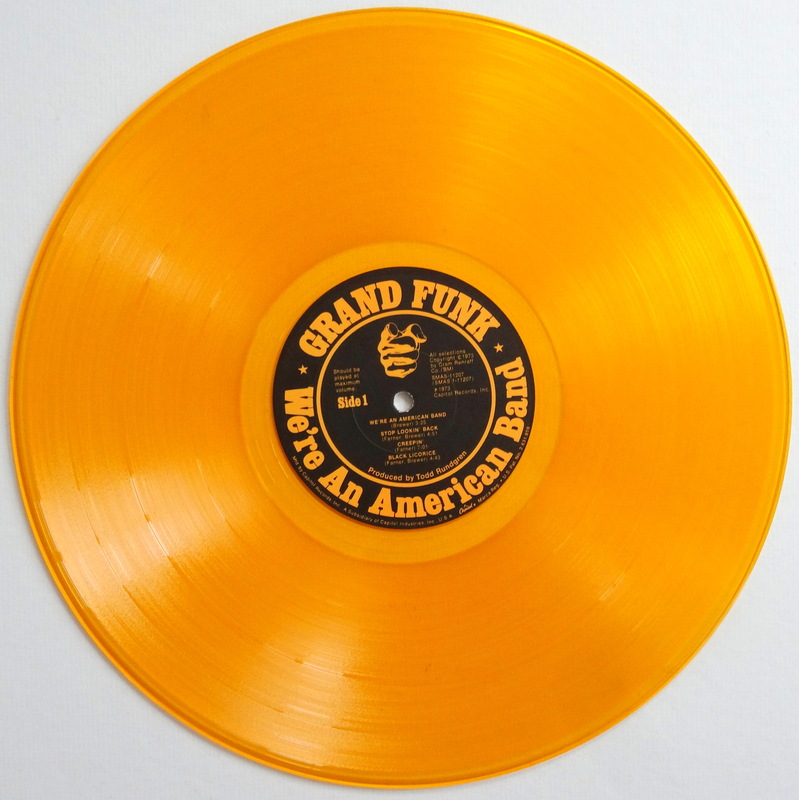 Most are pretty worn, so it’s condition more than scarcity or love for Grand Funk (though I do like them) that earns this one a place in my stacks. 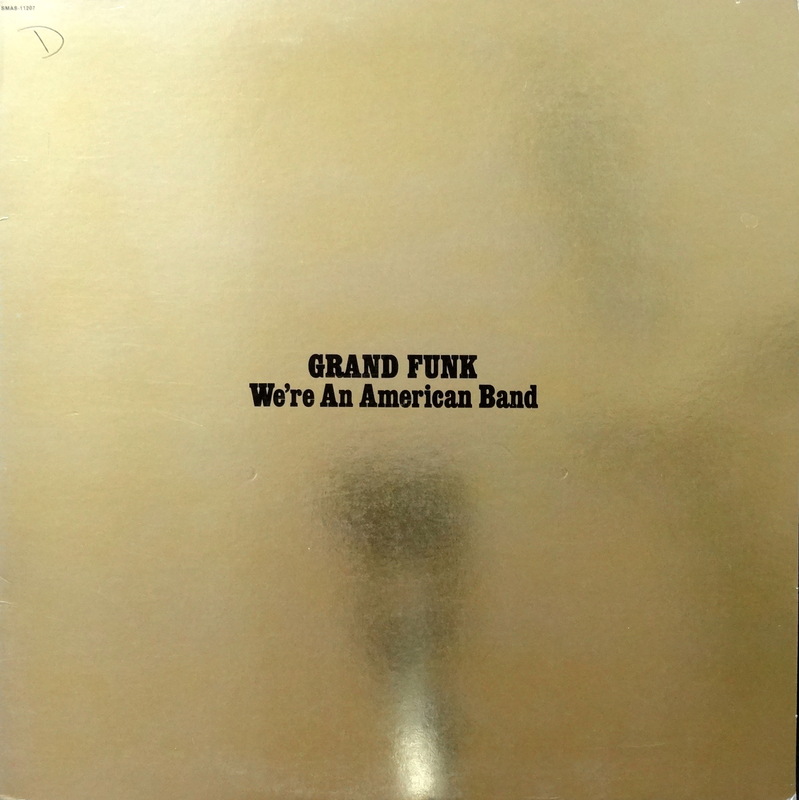 You can buy your own original copy of We’re An American Band in good condition for around ten bucks, or you can spring for the recent 180 gram vinyl reissue. Happy hunting.